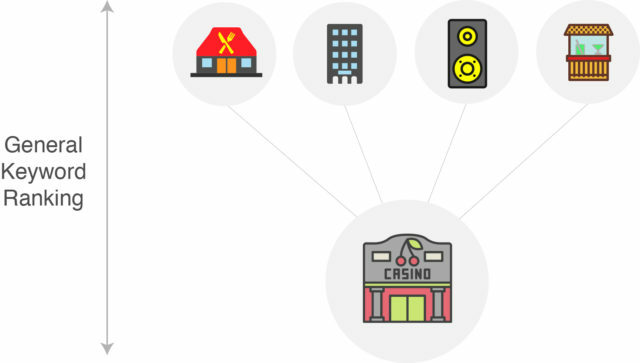 If you have visited a casino, then you can understand the pillar + cluster model of content creation. 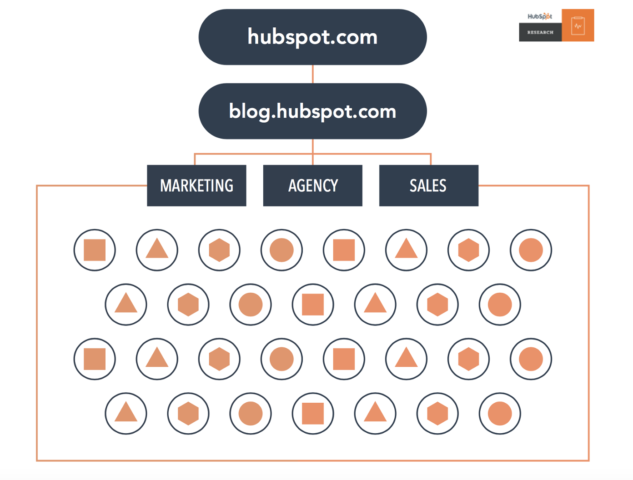 HubSpot released its Content Strategy tool in September 2017, which means that topic clusters are officially mainstream. Topic clusters are a significant departure from the traditional keyword-based model, which is probably the content strategy you are familiar with. Here is what the traditional keyword-oriented model preached: You pick a keyword where you want to rank highly on search engine results pages (SERPs). Let’s say you sell supply chain management software. You might want to own terms around supply chain management. So, you go on to write a series of blogs that use common search terms in the title, meta description, H1 and more. You continue to write more and more content to stake your claim on more valuable keywords. Here’s the problem: Search engine users have changed the way they search for content. Due to changes in its algorithm, Google is much better at understanding intent in your search. Therefore, you do not need to include precise terms. Google will understand your intent and serve you appropriate content. This has spawned thousands of long-term variations on common search terms and diminishes the need to focus on ranking for specific keywords. This is where topic clusters come in. By building topic clusters, you indicate to Google that you are an authority on an entire subject. So, whenever a person searches for any term within a general topic, they are more likely to find your content. It’s kind of like managing a successful casino. I’ll explain further, but as long as you have visited a casino, or even heard tales of Las Vegas, you should be able to understand the advantages of this new approach. Imagine that you are a real-estate developer. You are trying to choose what types of projects to develop. 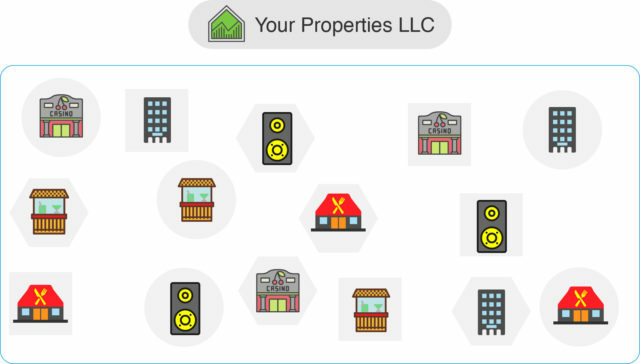 You could try and develop beach bars, hotels, casinos, restaurants and clubs individually to cover a few different types of properties. You would soon find yourself battling the competition in 5 different areas! You would need to figure out how to develop 5 separate brands that would not only survive, but thrive in their respective industries. And, if you do particularly well with one type of development, the success would not translate to your other properties. For example, if you became an excellent restaurateur, you would still need to develop a separate brand of clubs that face different challenges. It would not make sense to link your brands together because they would likely speak to different audiences. You might own a Chinese restaurant chain for families and club venues for 20-somethings. There would be no point in cross-promoting. And what about conversion? Since your offerings are one-dimensional, you get to pitch to one specific persona at a time. For example, with restaurants, your success purely depends on whether you can reach families at the time they want Chinese food. That is your relationship. When they want other things, they head to other brands. This is similar to the old, keyword-based strategy for content development. You would find yourself battling competition for every search term, with little hope of ranking for long-term keywords. Google’s crawlers would judge each of your pages separately, which means you would not be able to build authority on any one topic. You would fight to keep your positions for every keyword. And, you wouldn’t have a great way to link pages internally. Some opportunities for linking would certainly occur, but you would have no way to systematically build internal links so that Google could easily determine the relationship between pages. You would also be forced into one-off conversions. When visitors found your content, you would have no systematic way to make sure they found a solution to their problem on your domain. You would rely on the chance that they landed on the right page in the first place. You need a way to become an authority on a specific subject, so that you don’t need to fight battles on 5 fronts and you can scoop up any long-tail traffic to your favored subjects areas. Rather than building individual properties, you should be building resort + casino combos, like the ones you find in Las Vegas. These have an amenity to draw pretty much anyone in, from shows to food to relaxation. And, at the center of all of it is the casino itself, with some of the highest profit margins of any industry. This means that you will have something for everyone, as long as they want to go on vacation. 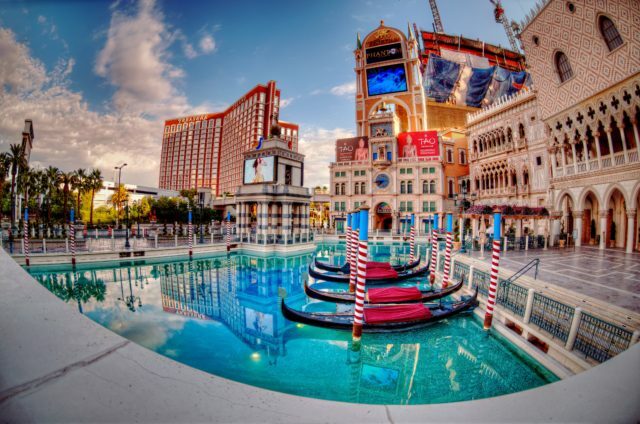 If a family of 4 wants to take a trip, you have a pool, shows and plenty of food to keep them happy (and parents can gamble after the kids go to bed). If a single, young professional wants to take a trip, you have clubs and pool-side bars on the same property. 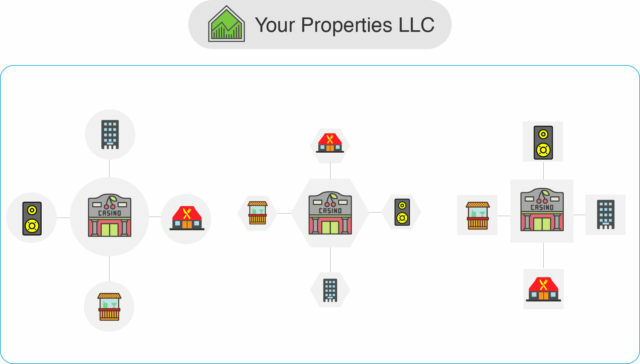 This topic cluster model looks like a hub and spoke because the 4 major amenities- pool, bar, restaurant and hotel- all exist to serve the most important conversion. That’s right, the important conversion here is gambling. Each valuable feature of your resort is linked- it’s in the same place, and all meant to keep visitors on the resort. But, each amenity is individually valuable. And if you own the resort + casino with the fewest (or worst) amenities, you are going to struggle to reach a wide audience. From an SEO perspective, Google’s crawlers want to see this relationship in order to trust that you are an authority on a subject. They want to see interlinked content with a piece of pillar content that ties all the pieces together and serves a general audience (All types of people love gambling). I actually prefer a different way to visualize these content clusters. Here’s why this makes a little more sense than the hub and spoke model. Each of the 4 clustered pieces of content gives you a chance to improve your authority on the subject. If one performs well, you drag the rest of the pieces and the pillar up the search rankings. The resort casino analogy remains: If you have 4 subpar pieces of content attached to a pillar, you can’t expect to rise in the rankings. You still need strong content on specific subjects. The left part of the diagram says “general keyword ranking”. Your cluster content should still target individual keywords, but this system does not focus on the keywords themselves. It focuses on an entire topic so you can capture all the long-tail searches within your content cluster. At the middle of all of this should be an authoritative guide to objection handling. It should be a high-converting page that has proven to generate quality leads. The other pages should encourage visitors to end up on this page. If this becomes a driver for your business, you can build more content related to the pillar. As you can see, we previously had 5 separate blog posts on specific types of dashboards. Each one caters to a niche audience and has lower search volume. 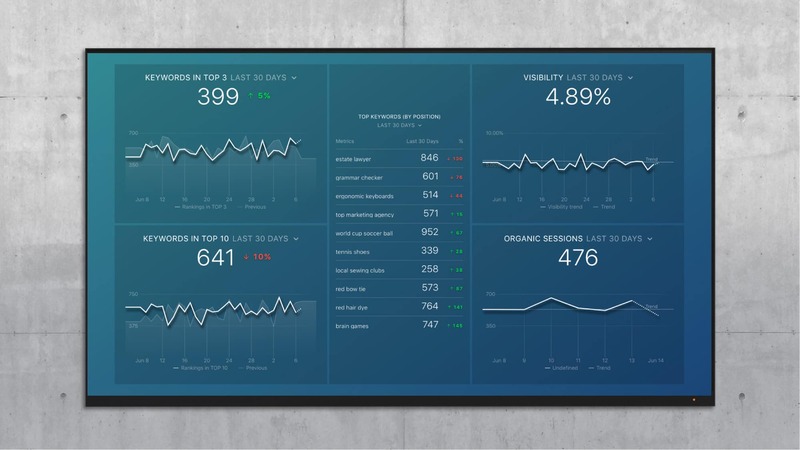 Now, we are creating a pillar piece of content on marketing dashboards as a whole. On that page, we can share our expertise in specific types of marketing like SEO, inbound and e-commerce. This will appeal to a more general audience than tool-based posts, but it will still have educational value for each type of marketer. You can measure the impact of a content cluster strategy in real-time and for free with Databox. You want to take a more holistic view of your domain since the balance of traffic and leads may shift for individual pieces of content. It does not make sense to use this strategy to measure just one piece of content because it will require a larger commitment. If you use SEMrush, you can try the Keyword Milestones dashboard to track rankings across your domain, as well as the resulting organic traffic. If you use Google Search Console, you can use the Search Console Basics dashboard to summarize all your long-tail traffic. 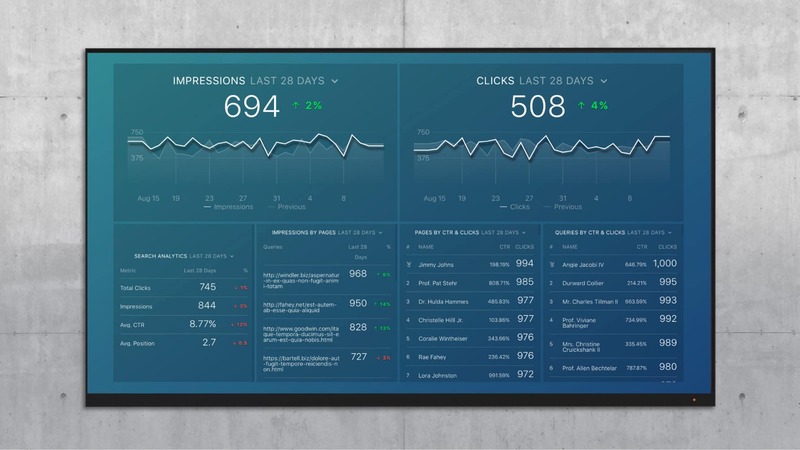 Overall impressions and clicks may be a better measure than clicks by specific keywords. You should be more successful with long-tail keywords, which means measuring by keyword may encourage you to return to your old, keyword-oriented strategy. If you would like to read more about the topic cluster model, check out Matthew Barby’s post on the HubSpot blog.